Additionally, all of our modern fleet of vehicles are GPS controlled for greater accuracy in response times. And to increase your peace of mind, all our drivers are CRB checked and used to transporting vulnerable children and adults on a daily basis. Here at Barnton Travel, we offer the superior airport transfer service in Northwich, as we know that when its your holiday, you do not want anything to delay your well deserved break. We track your return flight so we can make sure we're ready and waiting for you when you exit the Arrivals Hall, whether you've landed early or experienced a delay. With 11 years of excellent service and high rates of customer satisfaction, we have become a strong favourite of Northwich. Call us today if you require a reliable airport transfer service - 01606 872000. A large percentage of our modern fleet are 6 and 8 seat people carriers and minibuses, and we can provide more than one vehicle if your trip involves larger numbers of passengers. 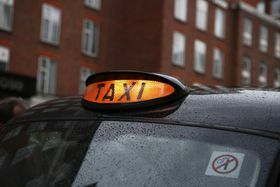 With our long established and well presented team of professional and specialised drivers, we can ensure that you will have a great day or night, starting with us. Call us now to get your trip off to a great start. So, for a reliable service that is competitively priced and professional get in touch with us today with the free click to call service above or use the contact form for wide range of Contact Us.